Tips to keep the family energized & aspiring to greatness! Mosquito and Bug Repellents, the natural alternative to bug sprays and insect repellants. An interview with the founder of Murphy's Naturals. Purchase Medical Grade Supplements approved by Dr. Temple. 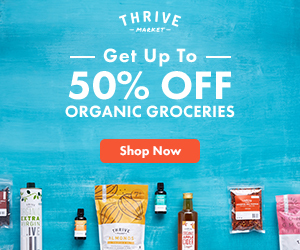 Save money on healthy groceries at Thrive Market.